If you decide to continue on you will find a lot of information on the History of the Battalion together with links to other sites. and let us know what you thought of the pages. Click on the GUESTMAP button to show us your location. days until the National Reunion in February25 2020.
to down load the conditions and application form. 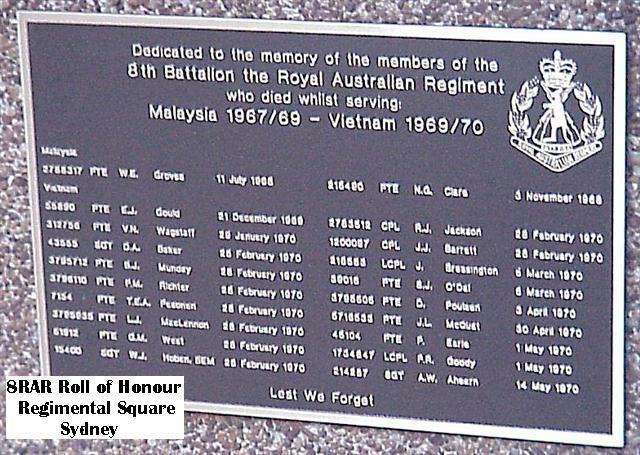 The Malaysian Government will award a commemorative medal to Australian servicemen and women who served in Malaysia from 1957 to 1966. Members who served in 8RAR only will not be entitled to this medal. 8 RAR Assoc.Upcoming Events: Click to View or Add Event. General Events Notice Board: Click to View or Add Event. 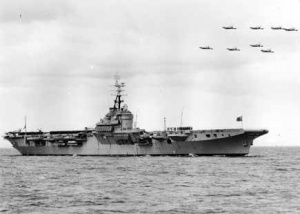 To see a video of HMAS Sydney with 8 RAR members on board enroute to Vung Tau November 1969. To see a video of a Pipers Tribute to Black Saturday 28th February 1970.
more incidents without casualties, and these incidents have not been recorded. Days ago the Battalion was Formed. Days ago the advance party left for Malaya. Days ago to Black Saturday. 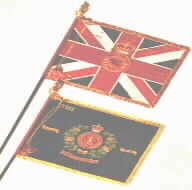 days when the Battalion was Disbanded. days until the Reunion 2020. 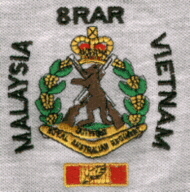 This is the Un-Official home page of the Battalion ,the information or comments in the following pages are not necessarily those of the 8 RAR association,it's members or former members of the Battalion. Any errors or omissions are my fault and I would appreciateEmail advice to correct them. Use the navigation buttons to go to the page of your choice. This NEW introduction page has been visited times.